Lauren Bridges is a maritime and environmental lawyer focusing on toxic torts, personal injury, property damage, economic loss, and other disputes in the maritime and energy industries. She has experience advocating for her clients in federal and state courts, at the trial and appellate levels, in both single-plaintiff and mass tort actions. 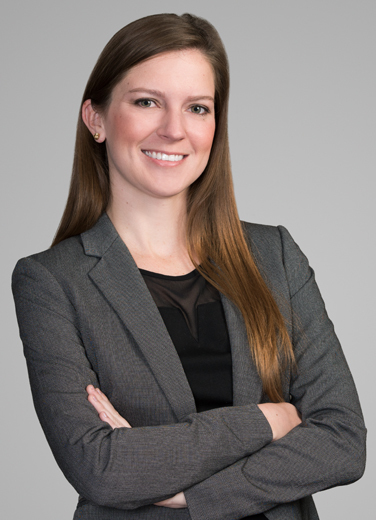 Lauren handles a high volume of claims and she is experienced in guiding clients through the difficult process of complex litigation management. She routinely advises clients on strategies to minimize litigation costs and exposure to liability based on the client's goals and the unique facts of each claim. She then works hand-in-hand with her clients to execute that strategy. Lauren's passion for maritime law began well before her legal career. She grew up in a shipping family living in various ports in the southeastern United States. In addition to her formal legal education, she gained valuable insight while interning on the London marine insurance market and for a major shipping company in Hamburg, Germany. Lauren had the honor of serving as a legal intern to the Honorable Paula A. Brown in Division "J" of Orleans Parish Civil District Court from 2010 to 2011. "Responsible Parties Under OPA ’90: Who Is Left Holding The Bag?" Lauren is passionate about shipping. She grew up surrounded by the maritime industry having lived in major port cities across the U.S. including New Orleans, Charleston, Houston, Virginia Beach/Norfolk, and Tampa. In addition to her maritime law practice, she is engaged in the local and international shipping community, including being an active member of the Women's International Shipping & Trading Association ("WISTA").